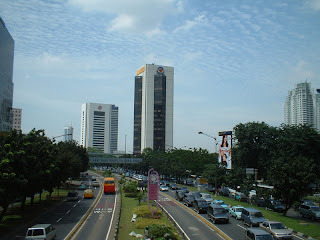 I think I will be die soon if I live in Jakarta. I mean this place is like hell. Too many rubbish everywhere, the streets are broken, children begging money on the street, and the worse one is, theres a huge gap between rich and poor. You can imagine, right beside this fancy hotel called HYATT, theres alot of poor people live in a rookery. Alot of people who willing to do anything to eat, meanwhile people inside HYATT are willing to spend alot of their money for one nite. DAMN Jakarta. How can we live in the place like that? I prefer to go home rite away, here in Jogja.